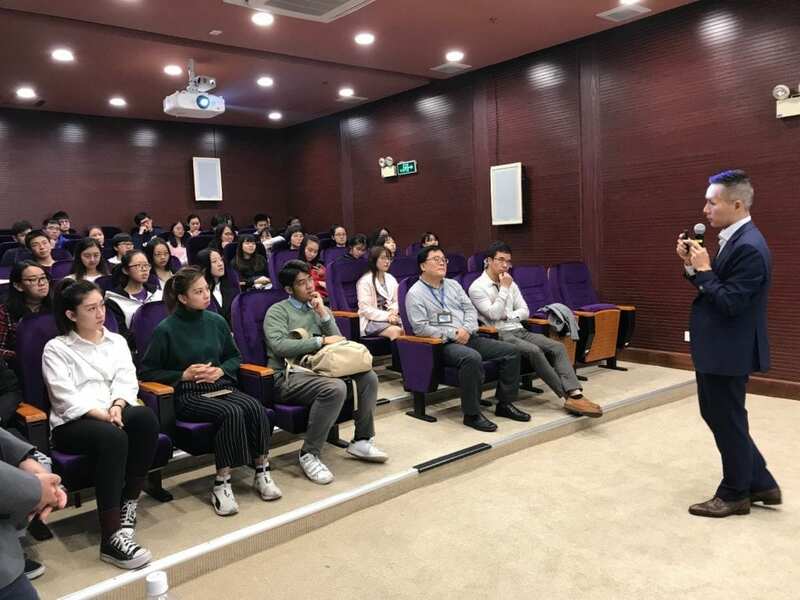 The Director of Macao Economic Bureau, Mr. Tai Kin Ip, gave a talk in Cheng Yu Tung College (CYTC) on 28 November, 2018. He encouraged students to seize the development opportunities of the Bay Area and explore the relevant cities in order to seek for a bright future. Mr. Tai said that Macao has advantages under “one country, two systems”, the “Belt and Road” initiative and the development of “one centre and one platform”, giving rise to unlimited opportunities for young people in Macao. Mr. Tai introduced the development of the infrastructure in the Bay Area to the students, as well as many existing industrial policies and investment projects, such as the Hong Kong-Zhuhai-Macao Bridge, Traditional Chinese Medicine Science and Technology industrial Park, Macau • China Diamond and Gem Exchange, etc. 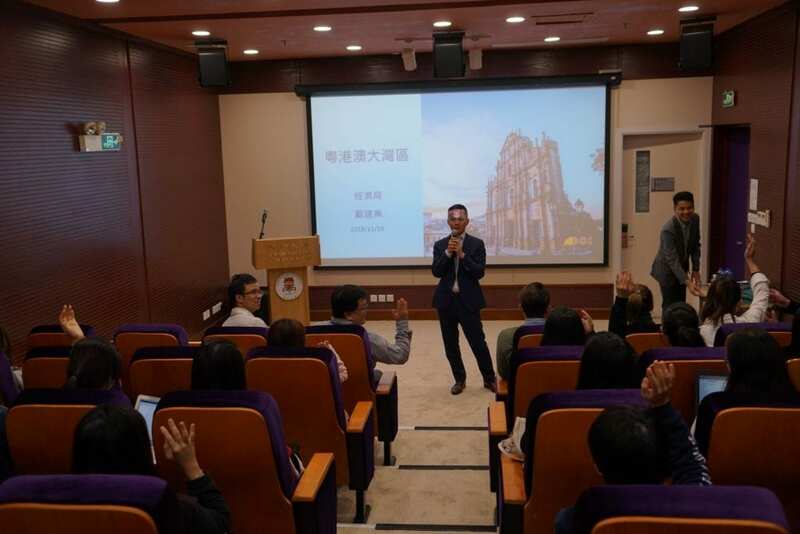 In order to assist young people in Macao to fully grasp the development opportunities in the Bay Area, Mr. Tai also introduced several plans of the government, including youth entrepreneurship, Chinese-Portuguese youth innovation and entrepreneurship exchange program, etc. He believed these plans would enhance the competitive abilities of young people in Macao and the understanding of Mainland regulations such as trademark registration. Mr. Tai interacted with the students in a pleasant and harmonic atmosphere. In addition to answering questions of the audience in detail, Mr. Tai also shared his tough experience of studying abroad in Portugal. 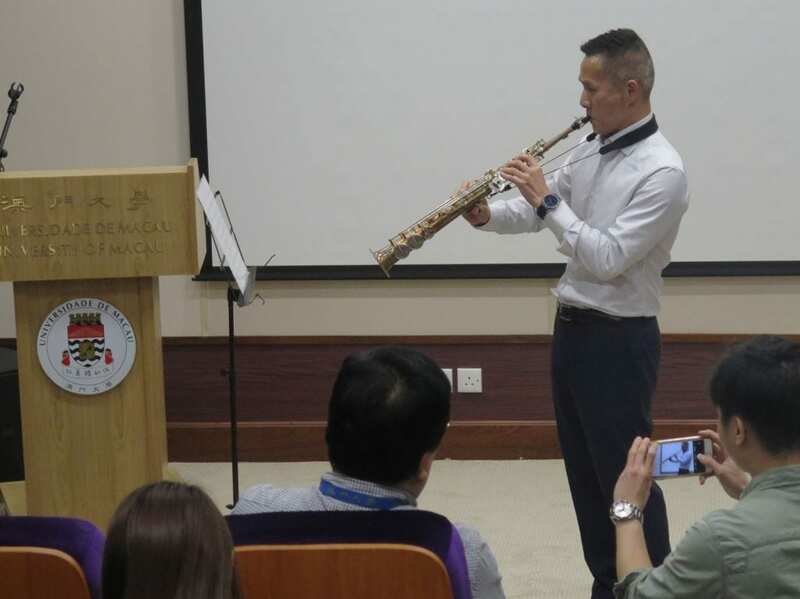 At the end of the talk, he played a song “You raise me up” with his saxophone to encourage students to study hard, work hard, and find a balance between work and life. Picture 2: Mr. Tai played a song “You raise me up” with his saxophone to encourage students to study hard, work hard, and find a balance between work and life.